There is no denying that a soft and glowing skin is not only healthy but also captivating and attractive. If you wish to be the crescendo of all eyes, you must take good care of your skin so that it adds radiance and vigor to your personality. According to beauty skin experts, regular usage of a good body lotion is the first step of getting supple and nourished skin. It not only adds moisture to the skin but also successfully repairs skin from dark patches and gives back a smooth touch. It effectively removes dead skins and relaxes and de-stress your body muscles after a tiring day. You can even get your natural and zero chemical homemade body lotion with ease and effectiveness. Take a container and pour the coconut oil in it. In winter season, you may find that the oil has hardened. In that case, whip the oil thoroughly first before heating it. 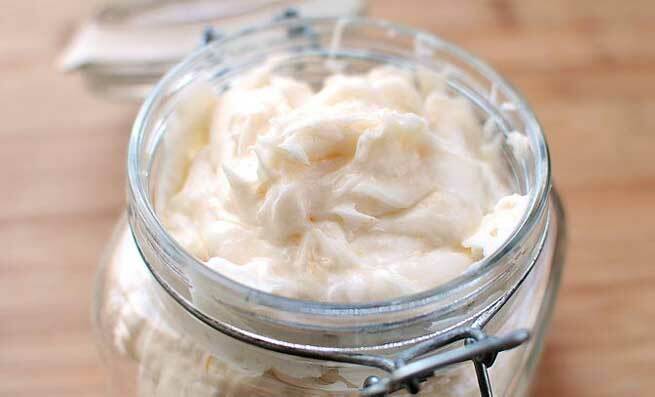 Whip the coconut oil for 8-10 minutes constantly so that there is no lump in it; make it smooth and fluffy. Now add the vitamin oil in it and blend at high speed. Pour few drops of essential oil for a soothing fragrance and mix again. 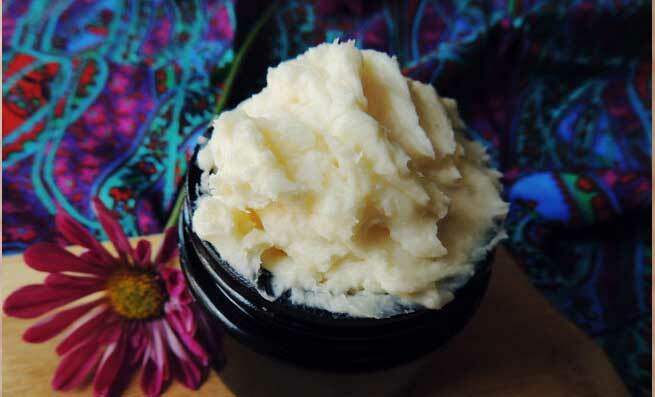 Scoop your creamy coconut oil body butter lotion in an airtight container and seal it. Store it in room temperature or in the refrigerator for future use. In this homemade recipe, we will be melt and mix the coconut oil with cocoa butter in a container for few minutes. Add in almond oil and vanilla essence in the mixture and stir thoroughly to get a smooth oily solution. Vanilla has a soothing and relaxing essence that can refresh your mind and body effectively. Refrigerate it for approximate 20-25 minutes so that the oil gets partially solid. As it becomes moderately solid, whip up the mixture with an electrical blender or a food processor so that it becomes consistently fluffy and butter soft. Pour it in a clean jar and store in a cool place for future use. Take a clean container and melt cocoa butter in low heat in an oven or stove. Now remove it from heat and add the coconut oil and almond oil in it. Stir properly to mix all the ingredients in right consistency. Keep it overnight so that the mixture becomes somewhat solid. You can keep it in fridge also for some hours to get it solidified early. Blend the half solid oil-cocoa butter mixture with an electric blender till it turns frothy and soft. Pour few drops of tea tree oil in it and mix again. Store your anti bacterial coconut oil body butter in a cool place.